Claire Hegarty is one of the most highly qualified female UK Hypnotherapy experts as well as being one of the most well-known experts in hypnosis in the UK and as such she has clients using her services from all of the United Kingdom as well as clients coming to visit her from Europe who would like to improve their life through hypnosis. 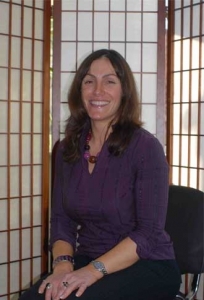 With Claire Hegarty being an experienced and professional UK Hypnotherapy expert, she is often asked to appear in the media for her expert opinion on subjects that includes weight loss hypnosis, anger management and dealing with phobias. As well as offer her UK hypnotherapy services such as anger management, gastric band hypnosis and stress management, Claire Hegarty also offers hypnotherapy training course and NLP Practitioner Courses where she works with health professionals, business owners as well as people looking to improve their life or career through hypnosis and NLP techniques. If you are looking for a UK hypnotherapy expert then you have come to the right place. We offer a whole range of services and below are just some of the services that we offer. If you are looking for a UK Hypnotherapy expert then it is important for you to understand what is hypnotherapy and how hypnotherapy can help you. Many people when they search for a UK Hypnotherapy expert for any problems they may have in their life believe that hypnosis is life a magic pill where it will make all their problems vanish. Unfortunately it does not work that way, when you require a hypnotherapist to help you achieve your goals then you will need to be committed to change and you must be prepared to make the effort to work with the hypnotherapy expert and makes the changes a reality. Hypnotherapy and Hypnosis are quick and powerful ways to create deep and lasting change, we often attempt to create change with the thinking mind and while this potentially is possible it takes a lot of energy, effort and focus to constantly think ourselves out of a problem we would need to have that thought in our mind all the time each and every day and for most of us with busy lives there are many areas we need to have in our mind throughout the day so too will ourselves to consciously change and do nothing else is impractical and often impossible. When we work with the Unconscious Mind also known as the Subconscious Mind we require focus to know exactly what needs to be changed and the time to create change is dramatically shortened to almost instantaneous as this mind is responsible for all learning, behaviour and change and this mind is very quick in the way it works. Hypnotherapy works with the right mind to create change, in the same way you would put the car in a forward gear to drive forward rather than reverse. By both skilled questioning and structured intervention we will quickly be able to unlock the targeted area for change and work with you to re-wire and re-programme the mind to work in ways that has the problems disappear and new ways of feeling, thinking and behaving now available for you!